This week in our Awakening to Your True Self Series, we are turning our attention to the four Brahama Viharas. These translate as supreme states, desired dwelling, divine abiding, or our best home. 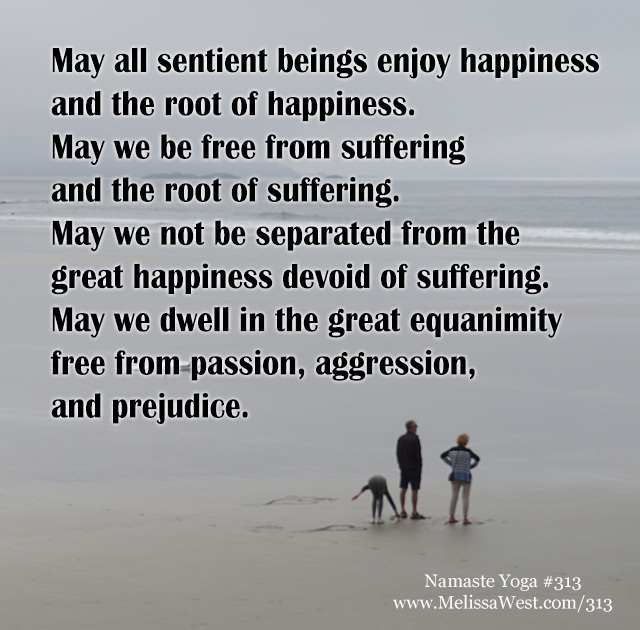 They include loving kindness, compassion, joy and equanimity. The brahma viharas or the four divine abodes are the teachings on the way we relate to ourselves and others. For example we meet friendly people with love, those who are suffering with compassion, successful people with joy, and unpleasant people with detachment. Like our homes, love, compassion, joy and equanimity can become our dwelling place, where we feel the most at home. They should not be places of short visits. Just like our homes, we can allow ourselves to sink deep into these qualities so that they become part of us, so that we become grounded in them. 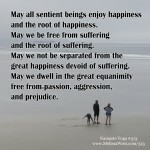 From that place of safety and security we will begin to see our interconnection with all beings. Like our previous practices of Self Awakening, the four brahma viharas are a practice of cultivating. When we come to learn and know the dwelling place of the brahma viharas, we are planting the seeds for a beautiful garden of love, compassion, joy and equanimity to emerge. Sharon Salzberg says it is not about acquiring, having, preserving or getting these qualities, rather cultivating the ground so these qualities may expand in our lives. We are simply creating the conditions through which our True Nature of love, compassion, joy and equanimity can emerge. We can all reflect on moments in our lives when we have experienced love, compassion, joy and equanimity. We have had moments of connection, clarity and insight. A practice grounded in the four brahma viharas is simply a practice in getting used to it. Instead of these qualities being fleeting we learn to dwell and abide in loving kindness, compassion, joy and equanimity so we can know them more deeply. Thank you for your donations Karen, Ricki, Sean, and Victoria. Today’s question to answer in the comments is: Can you remember a time when you felt most at home in one of the brahma viharas? We began the teachings on the brahma viharas this week, generally speaking, loving kindness is the practice to ground us in the brahma viharas. If you would like my favourite phrases of loving kindness meditation so you can practice loving kindness meditation at home then you can opt in below to receive a beautiful infographic with those phrases. If you would like more support in bringing the brahma viharas alive in your life, then I would highly recommend starting a loving kindness meditation practice. In our meditation community we are currently setting up a loving kindness meditation group and we already have a loving kindness meditation retreat with several loving kindness meditation audios to support you in your loving kindness meditation practice.